Brent's Deli with restaurants in Northridge and Westlake Village CA, has hired GoMarketing, a leading internet marketing and online advertising agency in Thousand Oaks. 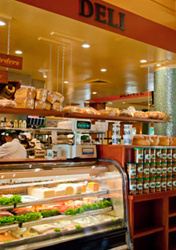 Brent's Deli is an icon in the San Fernando Valley and in the Conejo Valley for truly fine Deli inspired restaurants. GoMarketing Inc is tasked to build their new website, provide online marketing and ongoing monthly traffic building and exposure. For almost 50 years Brent's Deli has been synonymous with fine Deli-inspired breakfast, lunch and dinner meals. Brent's Deli has a stellar reputation as both a Deli and fine restaurant with a very extensive menu and fine deli offerings. "We are very proud to be hired by Brent's Deli as it is a landmark restaurant in both Northridge and Westlake Village CA," said Richard Uzelac, President of GoMarketing.com GoMarketing will expose Brent's Deli as both a great restaurant and a great deli. Additionally Brent's has a wonderful bar in the Thousand Oaks location that is a destination form many people in the Westlake Village and surrounding communities. "Brent's has amazing reviews and service. Their catering is professional and outstanding. Brent's Deli will deliver catering food from Santa Maria down to San Diego," added Mr. Uzelac. Brent's Deli offers both pickup and delivery at both locations.